For all you ARRI users out there here is their latest software update for the Wireless Video System (WVS). 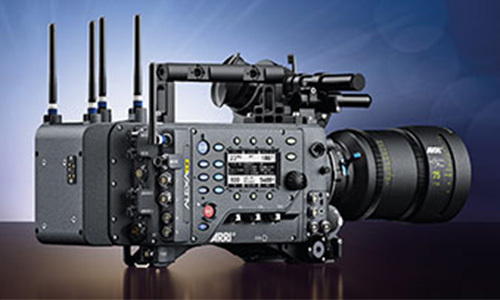 The WVS Software Update Package (SUP) 4.3.26 is now shipping with all ARRI Wireless Video System components: integrated HD video transmitters inside ALEXA LF and ALEXA SXT W cameras, Wireless Video Transmitter WVT-1 and Wireless Video Receiver WVR-1. WVS SUP 4.3.26 improves the reliability and signal robustness of the integrated wireless video transmitters within ALEXA LF and ALEXA SXT W cameras. Due to a faulty calibration, these transmitters were not able to supply full transmission power to the antennas with software before WVS SUP 4.3.26. The stand-alone Wireless Video Transmitter WVT-1 and the Wireless Video Receiver WVR-1 are not affected by this. The SDI OUT 1/2 of the Wireless Video Receiver WVR-1 now include the correct VPID (Video Payload Identifier). This allows using the output of WVR-1 with a variety of monitors and converters with automatic signal detection. To benefit from this bug fix, the WVR-1 needs WVS SUP 4.3.26 installed. The WVS SUP 4.3.23 remains compatible with the new WVS SUP 4.3.26. However,since WVS SUP 4.3.26 also contains a bug fix, we recommend updating all units to WVS SUP 4.3.26. WVS SUP 4.3.26 is not compatible with versions of the WVS software older than 4.3.23. Please be aware that devices with older software versions than WVS SUP 4.3.23 will not pair, hence please ensure that all devices are running compatible software. To see this great product in action, give us a call to arrange a demo on 0208 977 1222. If you want to learn more, head over to our website www.visuals.co.uk.